The APOLO model, developed and produced by PARTTEAM, was chosen to be part of the guest care management in a hotel in Cyprus. 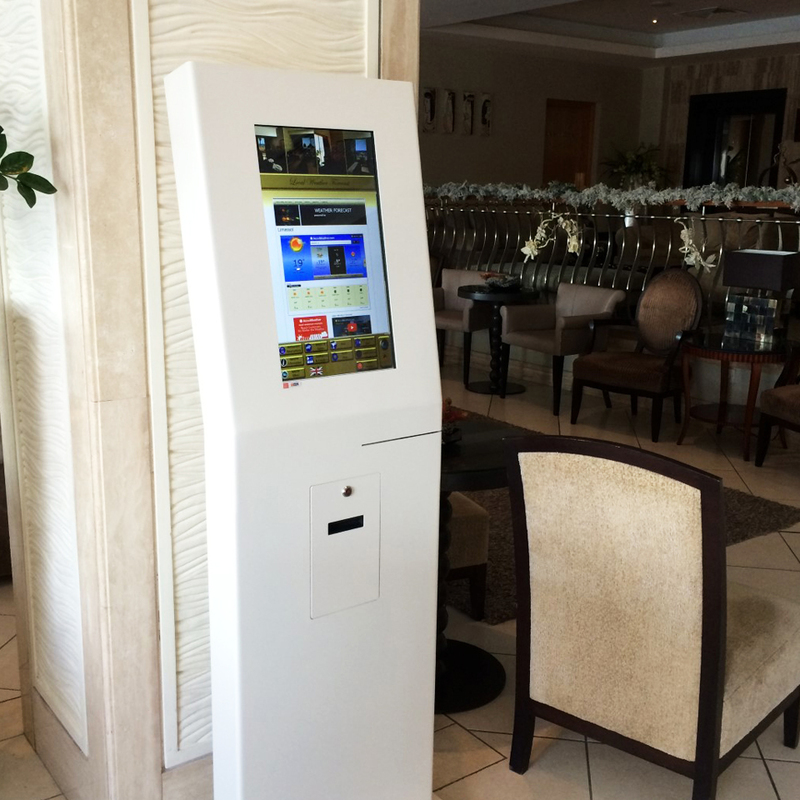 APOLO is an example of a self-service kiosk , with centralized management of services and that enables the increase of the productivity of the hotel service. In this specific project, APOLO's main functionality was access control by guests. 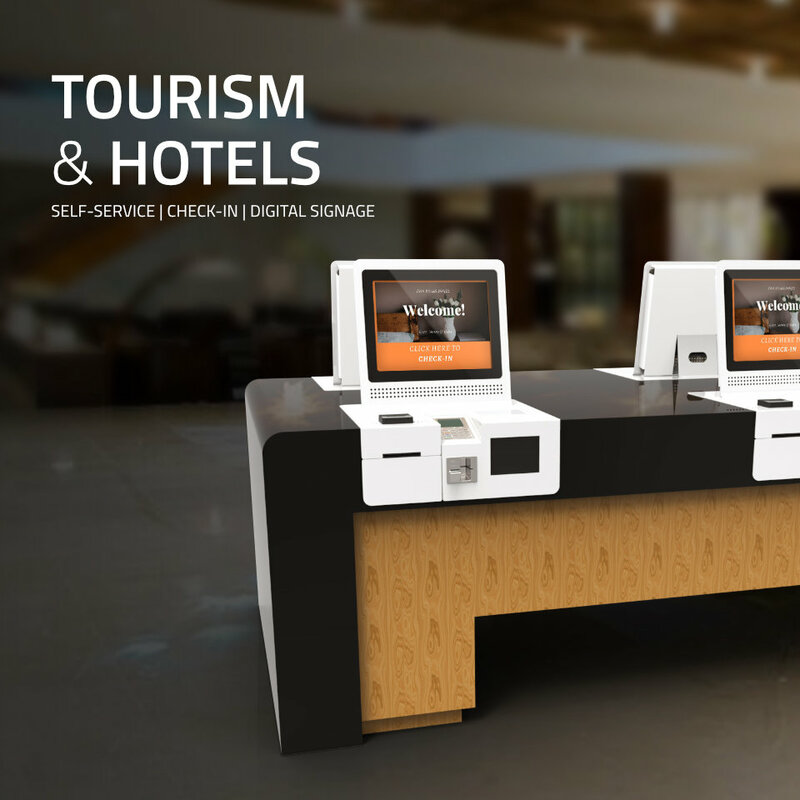 Through check-in and check-out, without the need to wait for the counter, making the process fast, autonomous, interactive and above all effective. 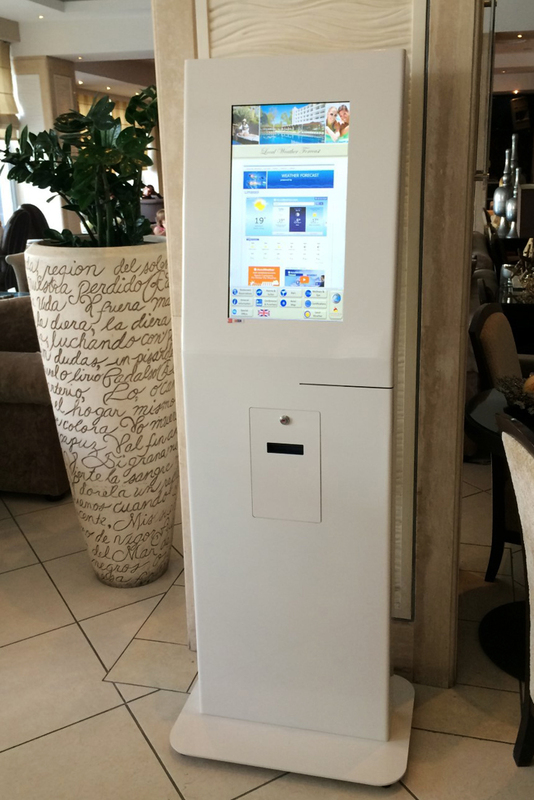 The kiosk integrated other components such as the card reader and a printer. In addition to this functionality, guests were able to obtain information about the hotel and its services, city maps, weather, public transport, routes, schedules, interactive experiences for tourists, ticket purchase, Internet access and other useful information. In an increasingly competitive world Tourism & Hospitality are looking for new ways to increase sales and improve the guest experience. In this sense, there is a greater commitment on innovation and technology to respond to the needs of an increasingly demanding customer who has to be always connected. Therefore, it is necessary to provide free access to Wi-Fi, not only in a public place, but throughout the hotel. It is also necessary to reduce costs and bet on the autonomy of services, without queues, among other services that new technologies provide. PARTTEAM is constantly at the forefront of these trends and has products and solutions specific to each project. The company knows that the new self-service technologies (SST) are relevant in the evaluation of service quality.